I can’t believe it’s been four years since the amazing Ann Arbor concert. To celebrate — and to wish all our American cousins a Happy Thanksgiving! 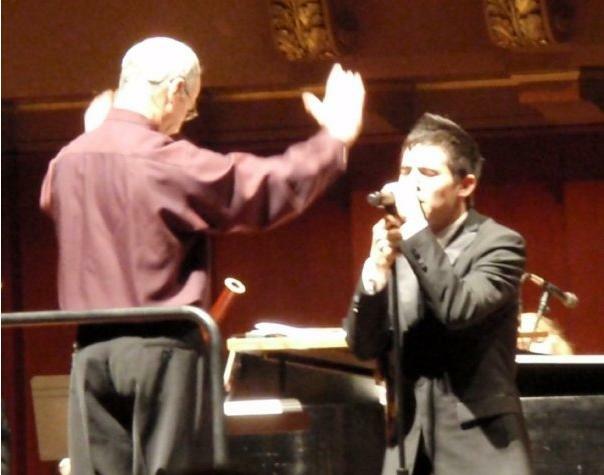 — I’m reposting stenocruiser’s lovely account of her very first David Archuleta concert (hope you don’t mind, steno!). Enjoy! 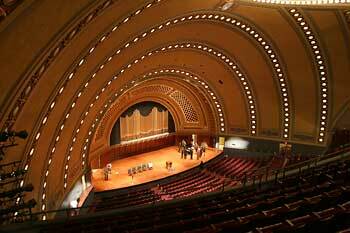 Hill Auditorium designed for glorious sound … designed with David in mind? It is not yet daybreak on a rainy morning as my daughter, Cathy, and I head away from Hamilton to the highways – 403 to 401 to 402 to the border. We have travelled this route over several years to visit my son, Gary, in the Sarnia area to attend family events, happy occasions. Gary has made the trip back and forth for the same several years but more recent ones were not the pleasant kind – three years ago it was for my husband’s (his Dad’s) funeral. Four months after that very sad time Gary was diagnosed with pancreatic cancer and his visits to and from Hamilton almost weekly were for treatment. In late summer this year his trips ceased as he entered into palliative care in his own home. Our family then travelled those roads constantly to be there for Gary and his wonderful wife. Our last trip was for his funeral just this past September. Please know that this preamble is meant simply to explain the mixed emotions – sadness, loss, grief and happiness, anticipation, excitement – that we are experiencing in travelling these “400” roads again. We are on our way to Ann Arbor to see and hear David Archuleta, that most amazing young man whose beautiful voice, positive messages and faith have been sources of comfort to me over the past couple of years. Now I will see him in a live performance for the very first time! The rain has stopped and we approach the Bluewater Bridge where we will cross into Michigan. We have arrived early as we expect there will be long lines due to Black Friday traffic. Instead we find it is clear sailing and we are over the bridge and into Michigan in minutes. Ah, this is definitely the start of all good things. Now we are travelling different highways, traffic is light, GPS is our friend. We are heading for Destination David, new memories and happy times. We have time to shop so off to Target. We pick up a few gifts – another good thing today. Time to check into our hotel and then head out for Panera to perhaps meet up with some other fans. I am shy and am hesitant to approach people to see if they are part of the David fan group so I don’t get to see everybody. I find out later they are all downstairs and I don’t know there is a downstairs. I meet TOfan, Refnaf and angelfanofDA(? oh, I’m not sure) in the washroom line. After I ask if they are going to see David, they say yes and ask where I’m from and then they know who I am so that was fun. TOfan gave me a David keychain – so very kind. We wave Canadian flags at each other before the concert starts. We go to ‘will call’ to get our tickets, wait for inside doors to open and then are escorted to our seventh row seats. Gradually the musicians come on stage and begin their warm-ups. An executive of the symphony speaks and then the Disney Radio person says a few words. The symphony plays a medley of Christmas songs. And we wait. Oh, I am impatient but I know the wait will be more than worth it. David Archuleta is introduced and he strides out, a smile on his face and a wave to the audience. He is small in stature but quickly becomes a giant on the stage. It is impossible to take one’s eyes off him. He actually does glow, yes he does. No spotlight required. Then he starts to sing, his voice soaring. How is it possible for anyone to be that perfect? The piano is out of my line of sight it being behind a bank of musicians on my side, so I’m unable to see David’s fingers flying over the keys on “1000 Miles.” So I watch the musicians, their instruments at rest. Their eyes are all on David; a couple of lady violinists crane their necks to see his performance; the maestro simply stands with arms folded, eyes on David, and smiles in approval and obvious admiration. Oh my, the glorious symphony – glorious David deserves this glorious accompaniment. This is simply beyond special. Every song, every carol, each so heartfelt. Standing ovations, so deserved. I have to clutch my hands together under my chin to keep from shaking but tears do fall. No need for me to comment on each perfectly sung song as others have already done that so well. After all, how many more superlative adjectives are there? After the concert, I wait outside for my daughter who is several steps behind me in the crowd. I watch as people come through the doors and I see so many smiles in the aftermath of such a special performance. David has made everyone feel so good. First time seeing David live and it just happens to be at this magical concert. This is indeed an evening to remember. My daughter and I both enjoyed it so very much. How fortunate and blessed I am to be here to experience it. It has meant the world to me. Thank you, David. P.S. Edit: Stealth Fields of Gold & WCIT & The Riddle youTubes … audio is incredible. (Thanks ZanessaEfgens and emilyluvsarchie!). Why does The Riddle make me cry?? 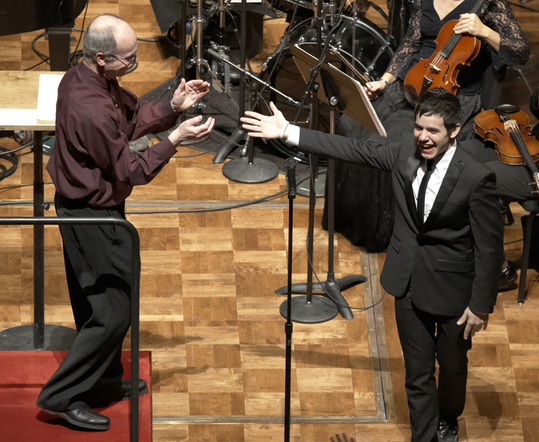 sheesh… oh and btw since it’s audio only, you should know that he actually stood at the mic stand for The Riddle, someone from the orchestra played the piano. It was the first time I’d heard it and it was incredible. This entry was posted in Fan experience and tagged Ann Arbor, David Archuleta, Happy Thanksgiving. Bookmark the permalink. Well, hi, Deb! My goodness, I’ve been making my usual morning rounds of the David fansites and I am so touched that you are repeating my Ann Arbor article. Thank you. I spent a good deal of time yesterday re-living the concert through You Tube (many, many thanks to those amazing fans who captured that awesome voice) and again thinking how fortunate I was to have actually been there on that very special night. My fervent wish is to be able to make it to David’s first concert after his return in 2014 — miss him so much! Steno, I am so glad you wrote this. It brings me back. I actually got chills again reading your words. I hope that in the not too distant future, he does another show with a symphony. He deserves it. Wish we’d met. Yeah, I love him too! And he still loves David! What wonderful memories! I don’t remember this article or any, really, about Ann Arbor. I think I was planning some trips of my own. It was a perfect transition to the holiday season. Steno, I love reading this recap again. Ann Arbor was a fantastic concert! I love seeing David in different settings, He shines wherever he is! Steno, your recap is so touching, thank you so much for sharing it again with us. David, full orchestra – every one of those performances brought me to tears today. The Riddle, it penetrates, and just wraps itself around your heart. What a joy to come here from the busyness of life and read this recap!!! Thank you (((((Steno))))). This was one of the most amazing shows to witness and I am so happy we were able to meet as well!!! What a lovely and heartfelt recap by stenocruiser. Wonderful to read and those who were fortunate enough to attend have some amazing and beautiful memories! Love listening to the videos, all those special songs sung by the prince of music.